Welcome to the April meeting of Connect, 21CM.org’s book club. Join us as we read “It’s Not (JUST) About the Gig” by Dana Fonteneau. Dana Fonteneau, author of “It’s Not (JUST) About the Gig,” answers questions posed by our book club readers. A solid musical education focuses on technique, musicality and quality of performance in addition to auditions and competitions. One’s personal development and a true sense of self can get lost along the way. 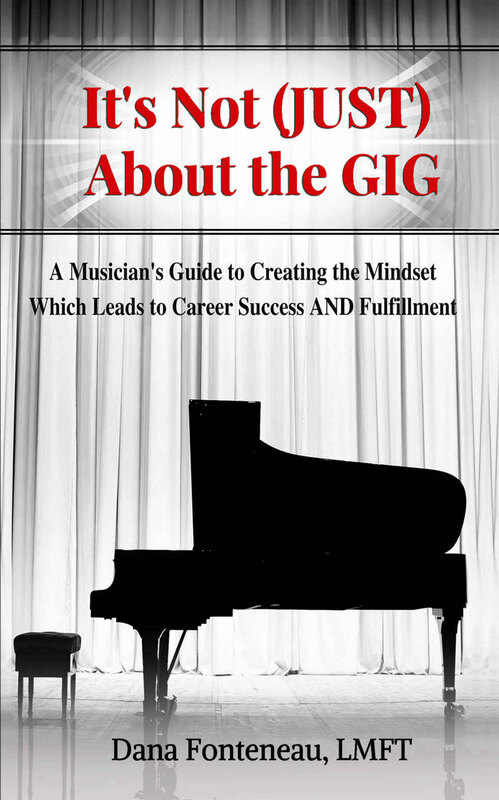 “It’s Not (JUST) About the Gig” dissolves the myths surrounding success in music and helps readers to not only define what success means to them, but also to create a solid action plan to be successful in all areas of their lives. Dana Fonteneau is rapidly establishing herself on the world stage as a thought leader for musicians on such topics as success, health and wellness, innovation and empowerment for sustainable careers in music. A former concert cellist, Fonteneau’s chamber music career was formed by studying directly with founding members of the Amadeus, Juilliard and Borodin string quartets. Now a licensed somatic psychotherapist in the state of California and founder of “The WholeHearted Musician,” Fonteneau devotes her time to empowering musicians to have successful, fulfilling and financially sustainable lives in the arts. Her writing can be found in Strings Magazine, Chamber Music Magazine, San Francisco Classical Voice as well as her own blog. Join us in reading by using the weekly book guide and taking part in discussions led by Sylvia Yang on Facebook @21CMBookClub. Follow the readings with our handy book guide here. Join fellow music entrepreneurs and leader Sylvia Yang on Facebook @21CMBookClub for ongoing discussion and thoughtful reading suggestions. Ask the author questions you need answered. Now through May 1, you can submit queries to the 21CM Book Club Facebook page @21CMBookClub, via Twitter @21CMusician or through the form below. Dana Fonteneau will answer your questions in the June issue of 21CM.